With larger loaves now widely available, we have listened to what our customers want and designed extra big slots for the Domus Toaster. The slots will hold large slices of bread up to 14cm long, including 'toastie' style loaves, when inserted sideways. 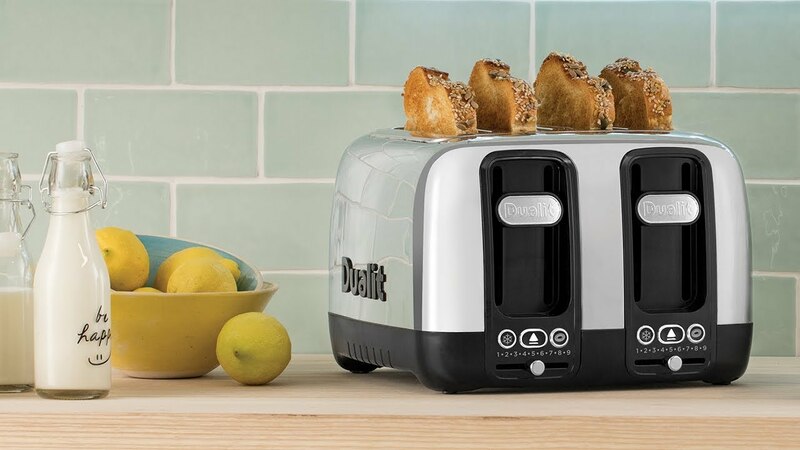 With Dualit's patented Perfect Toast Technology each variable in the toaster is calculated, from the temperature of the room and the toaster, to how many slices the product has toasted or how long it has had to cool. The patented Peek & Pop® function makes burnt toast a thing of the past, by allowing you to lift the bread with the eject lever while toasting and then drop it back down, without interrupting the toasting cycle and giving greater browning control.